The figure used for this unit is a Horroclix figure from the AVP: Aliens Collector set. Its model number and name are #006 / Wall-Leaping Alien. Character Bio - Drones are very dangerous, especially when working together with other Drones or the rest of their hive. It took only one Drone to infiltrate the cargo spaceship, USCSS Nostromo, and kill nearly an entire crew before being ejected from the ship and incinerated by Ellen Ripley. The Alien Drone is also referred to as a Scout, Stalker, or Worker and is classified as the most basic caste of the Xenomorph species. 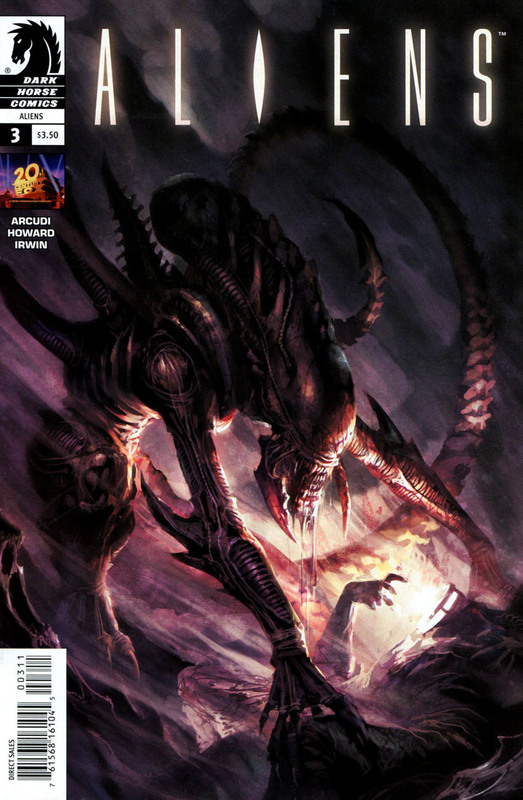 Loyally committed to the Xenomorph Queen, Drones are often responsible for the collection of living hosts. Each host is then impregnated allowing for the birth of future Xenomorphs and the expansion of the hive. While Drones are dangerous hunters one must also be careful when attacking them. 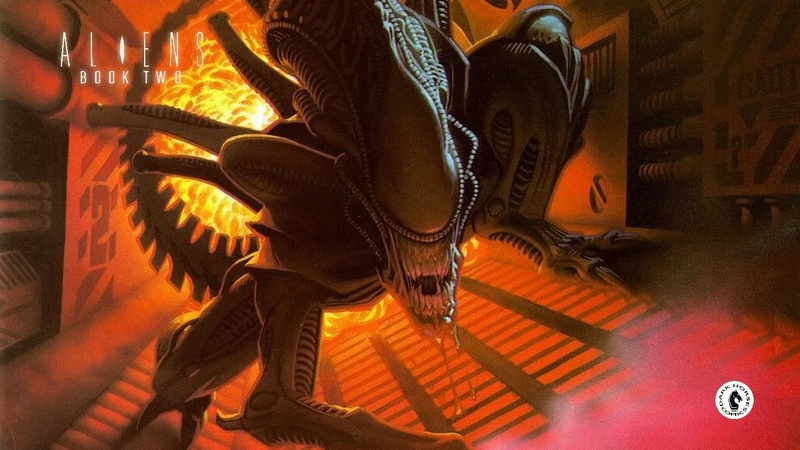 Each Xenomorph has an aggressive biological defense against would be aggressors. If their skin is penetrated, enemies run the risk of being splattered by the Drone's acidic blood that is seemingly capable of burning through almost any thick metal or armor. As a Xenomorph, an Alien Drone cannot be affected by the Acidic Blood special power of other Alien Drones. Last edited by Ronin; September 2nd, 2018 at 04:35 PM. While this Alien Drone is under an overhang or adjacent to an obstacle, destructible object, or space higher than its height, it cannot be targeted for any non-adjacent attacks. When moving up levels of height to move onto a space with this Alien Drone, do not count spaces for the first two levels and only count one space for each two levels after the first two. You may ignore this Alien Drone's height of 5 when climbing. This Alien Drone never takes falling damage or major falling damage and is never attacked when leaving an engagement. This Alien Drone may add 1 to its range when attacking a figure whose base is no more than 4 levels higher than its height or 4 levels lower than its base. If this Alien Drone occupies a shadow space, add one automatic skull to its attack. Whenever this Alien Drone receives one or more wounds, before placing Wound Markers, you must immediately choose an adjacent figure that is not a Xenomorph for each wound received. Roll 1 unblockable attack die against each chosen figure. You cannot choose the same figure more than once. After moving and before attacking you may add one Wound Marker to this card. For each Wound Marker on this card, add one to Alien Warrior's attack and defense. If Alien Warrior occupies a shadow space add one skull to whatever is rolled. If Alien Warrior receives at least one wound, choose 1 adjacent figure for each wound received and roll one unblockable attack die against each chosen figure. Last edited by Zettian Juggernaut; August 1st, 2014 at 07:10 PM. Alright, we're live ... one immediate item that came up while I was thinking about these Aliens designs is that Warriors are more numerous than Drones ... would it be a good idea to make this design an Alien Drone and make the Drone squad Alien Warriors? It's a start ... I'll be looking for more. The key to identifying the difference between a a Warrior and a Drone is the head ... Warriors have ridges in their head; Drones have a smooth dome head. Last edited by Zettian Juggernaut; June 24th, 2014 at 11:25 AM. I don't get the theme behind Shedding Skin . Plus I think the way that it reads could be interpreted that it gets the +1 per wound every turn but you may add an extra wound anytime you want . The SA is a bit bleh. You need to replace [figure] in Acidic Blood. I'm thinking, yeah, this should be a Drone and the common variant should be warriors. Where does Shedding Skin come from? Not something I remember from the movies. As Aliens grow they shed skin and grow bigger and stronger the further along they are in the life cycle. That's not the theme conveyed in your power. It's like they are getting Hulk rage the more they are wounded. I see what you are saying ... we could use other markers to convey the aging process: Start the game w/ X Skin marker on this card. For each skin marker on this card subtract X from this Alien's Attack and Defense. After taking a turn w/ this Alien you may remove a Skin Marker from this card. ... maybe something like that. It's a point of debate among Alien fans but some would say they are actually the same caste .. and that Warriors are just a more mature version of the Drones ... using the Skin Markers idea it'd probably be best to simply combine the two into one design. ... it's an idea. I don't think the Skin Shedding aspect is really needed here. While the mechanics of the current Shedding Skin is kind of cool, I agree the theme feels off. For Tail Strike SA, while I'm fine with it as-is, is there a particular reason it's not just incorporated into the normal attack (or maybe done in a power like Reach)? And if it'd be more correct thematically, I agree the name should be switched around.